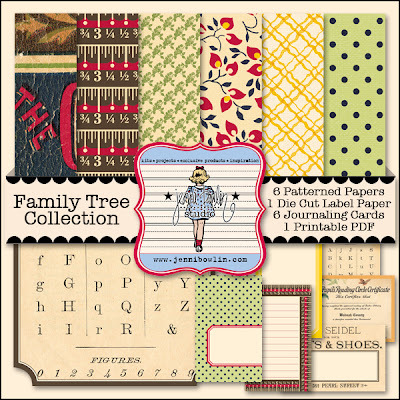 jbs inspiration: Family Tree is Here in Digital! Happy Friday all! This is an especially happy Friday for me, as one of my favorite JBS Collections of all time has just been released over in the JBS Digital Shoppe! 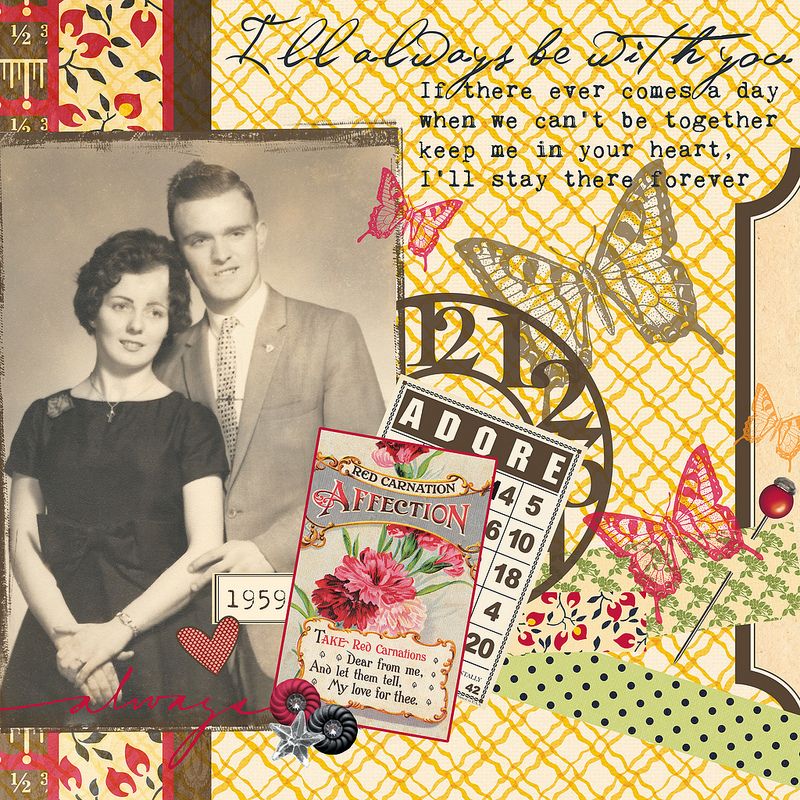 The Family Tree Collection combines wonderfully classic patterns with a fresh color scheme that can add just the right amount of vintage flair to your heritage pages and everyday layouts alike. 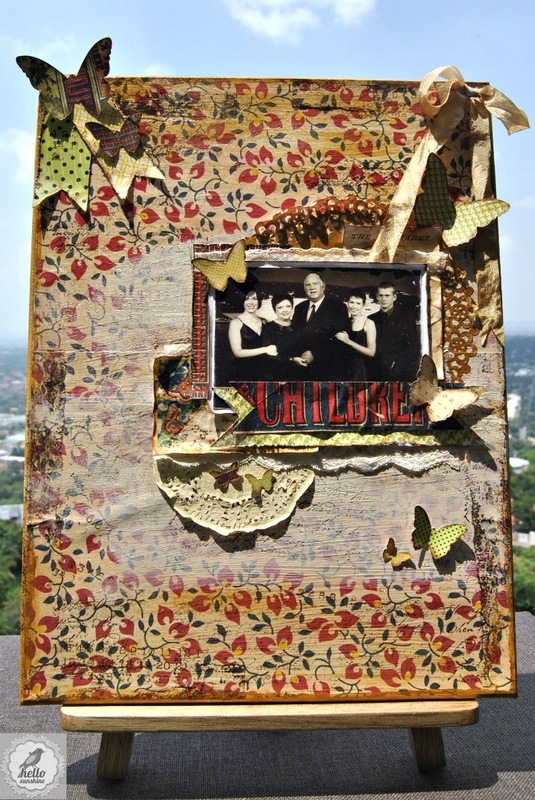 Here I've used this collection to scrapbook a photo of my grandparents from the mid 70s. I thought the colors in this collection really spoke to the era while complimenting my vintage photo perfectly. Scarlett Elements; Amy Martin: Machine Mess Stitching. I also have the pleasure of sharing a few pages from the talented ladies of our newly announced Digital and Hybrid Creative Team. So prepared to be amazed! 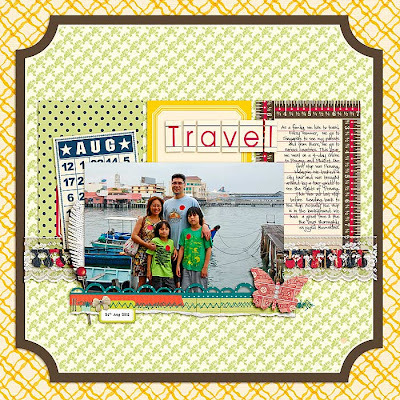 Isn't this page by Chrissy Guido fabulous! She's used all of these great papers and cards so uniquely in her fun design. I love how Audrey Tan has used the journaling cards from the kit to create a foundation for this lovely family photo--not to mention how she's managed to get so many of these great patterns onto her page. Bits; Juliana Kneipp: Butterfly Fly Away; Fonts: Pea-C Squared & Orwell. And here is a beautiful hybrid page from Roelien van den Berg. Don't you just love all of the texture and dimension here! 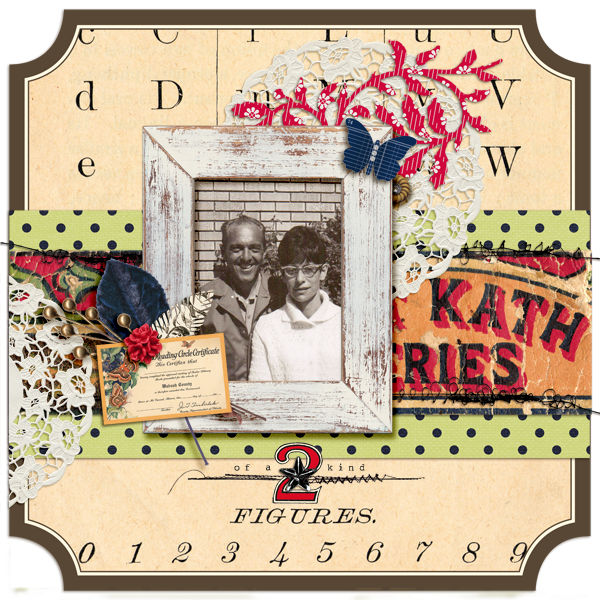 Did I mention that the Family Tree Collection is on sale? 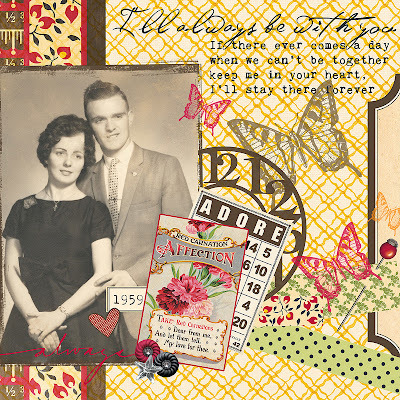 Just head over to the digital shoppe at JessicaSprague.com between now and Sunday, Jan. 13 to get this new release for 25% off. Hi all! Apologies that the links to this product are not currently working. We're working on getting this sorted out. Please check back this evening! I barely see my own family records these days. Glad you've found yours, and that you've kept tabs on them. Hope I do the same in due time, too. I'll collect all our family records, scan them, then look up the best available storage software or hardware possible.